In the past four months, the Chinese government has made repeated attempts at shutting down the church. The Guangzhou Bible Reformed Church, set up in 2010, has been on the receiving end in the Chinese state’s crackdown on religious belief. 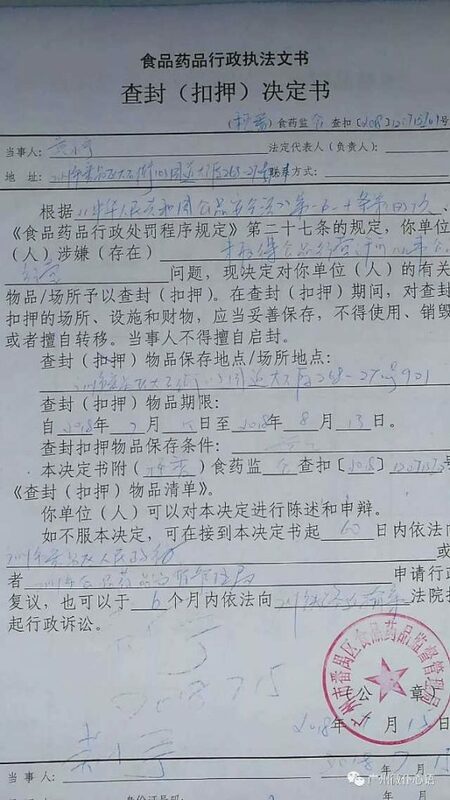 On October 8, Pastor Huang Xiaoning received a phone call from the church building’s landlord. He said he was going to cancel the rent lease and they had to move out soon. When Pastor Huang asked for the reason behind it, the landlord was evasive. Pastor Huang explained that the authorities have been harassing him to join the government-approved Three-Self movement since the past eight years. But things started to get much worse four months ago. 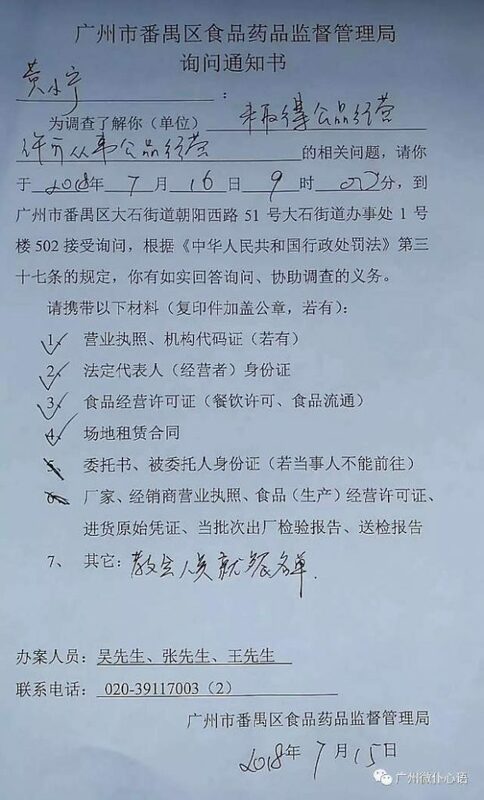 In June, the church received a notice from the local Ethnic and Religious Affairs Bureau in Guangzhou city. 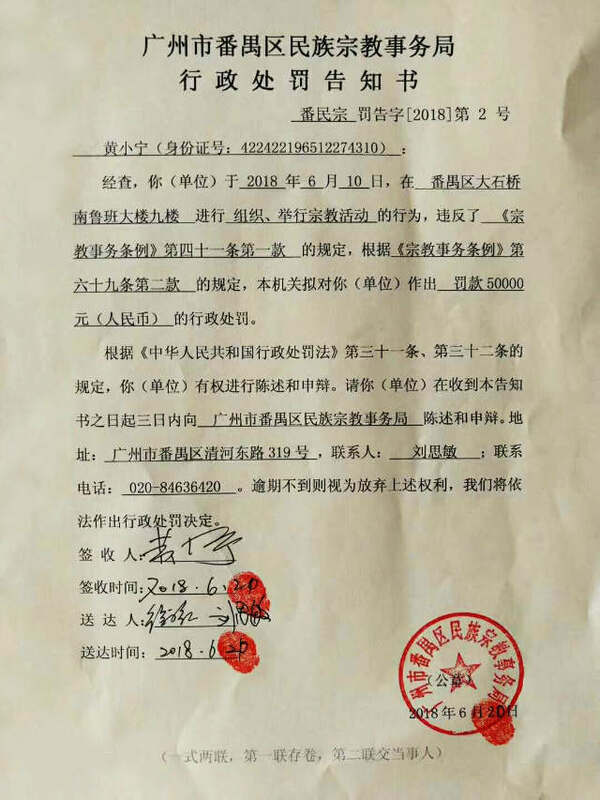 The church was accused of having violated the Regulations on Religious Affairs and fined 50,000 RMB or 7,100 USD as a result. 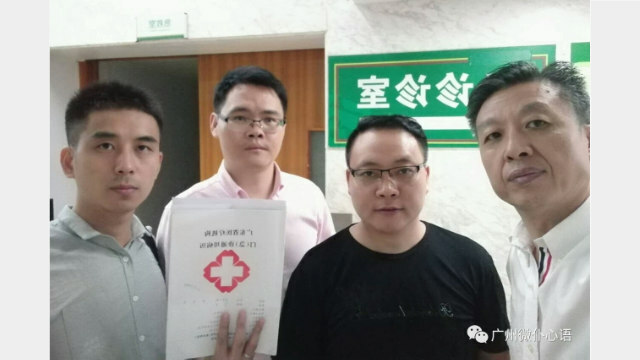 Days later, personnel from the Public Security and Religious Affairs bureaus showed up and ordered the church to stop its “illegal study programs.” Government officials also visit the church regularly to take photos. 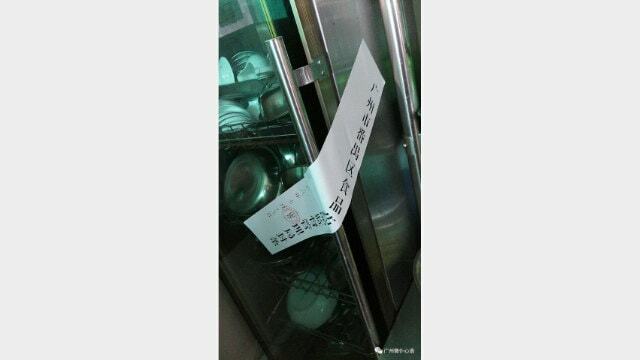 In July, the local Food and Drug Administration accused the church of “handling public goods without a permit.” Having already sealed off the cupboard and refrigerator at another branch, Pastor Huang was told his church would be investigated the next day for the same. A month later, authorities sent in personnel for “suspected violation of the Fire Services Act.” However, they did not bring a written document along with them to conduct their investigation, and when someone raised voice against it, the police officers were riled up. A physical altercation followed in which the officers maltreated Pastor Huang. 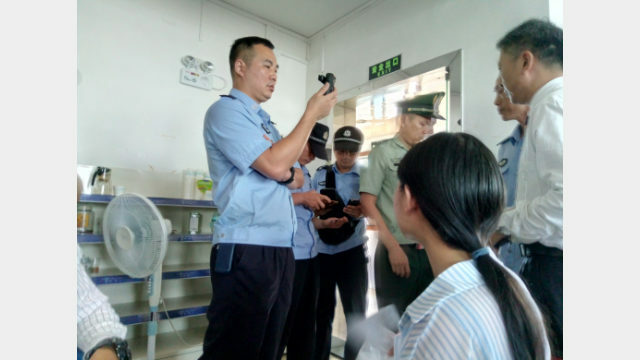 On September 2, over 100 personnel from the Public Security Bureau, riot police, and fire control showed up at the church. They ended up shutting down the church. Later, the police took away Pastor Huang, a lawyer named Mr. Deng, and several believers. The sterile cupboard that was sealed. 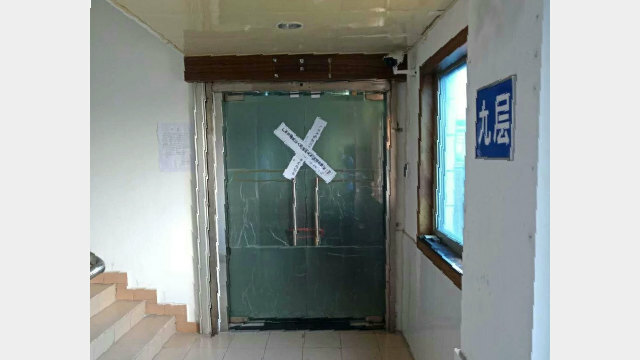 Guangzhou Bible Reformed Church shut down. Pastor Huang taking the lawyer to the hospital to examine an injury.